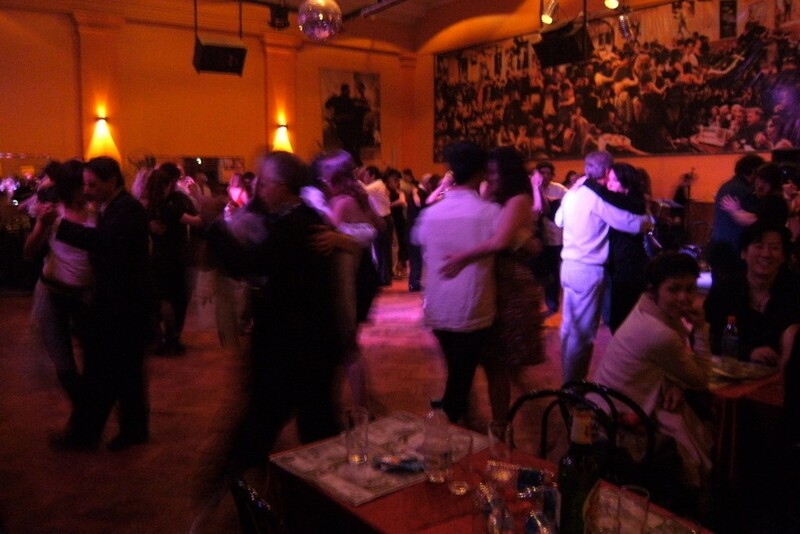 A milonga is the formal tango social dance where you dance a set of three songs with a partner, sit back down, and then dance with someone else. 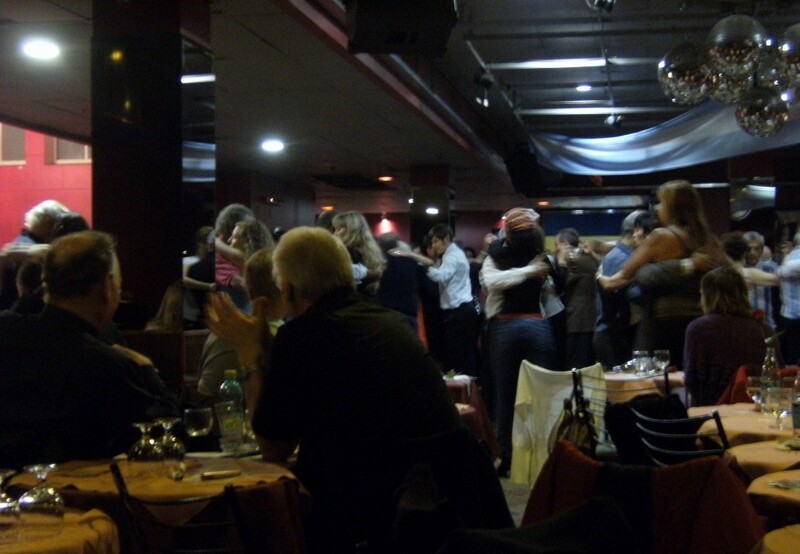 The practica/class is the informal practice where you actually learn how to tango. Certain venues are more formal than others. If you’ve never danced and want to learn, you should try a lesson or attend a practica. 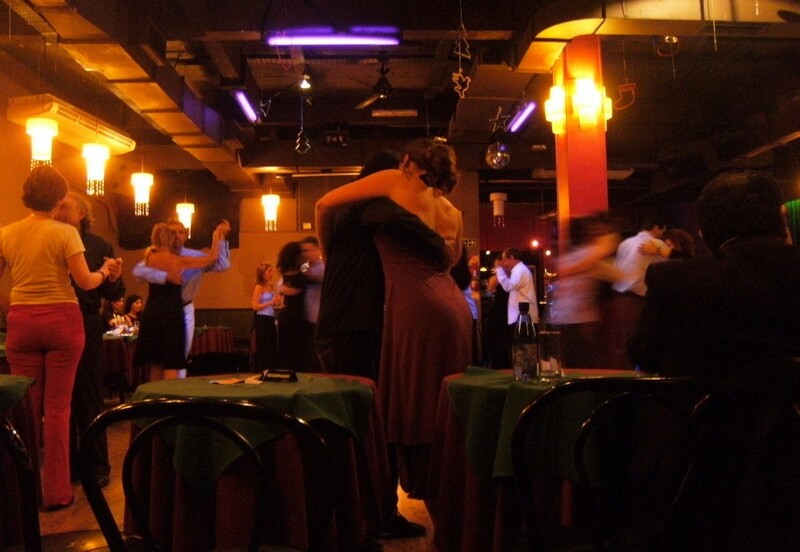 And what better place to learn tango than Buenos Aires? 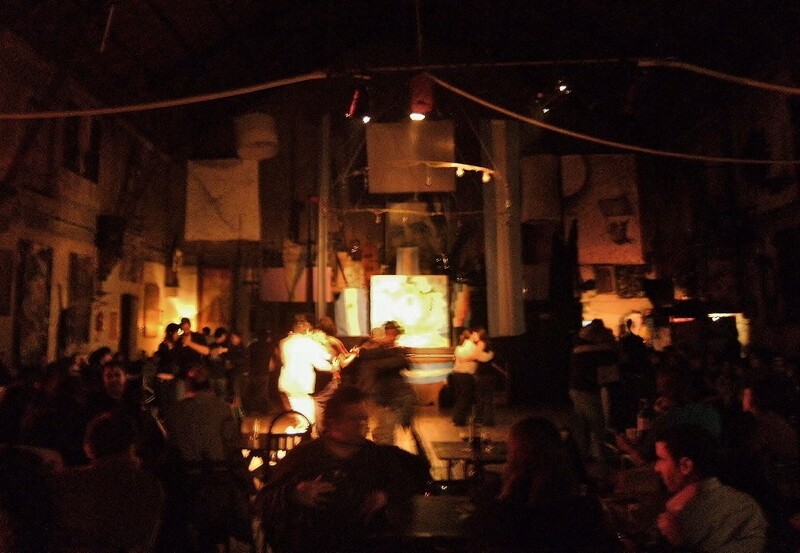 Or if you just want to go to a milonga and watch, I recommend going to one with performances or an orchestra. Great traditional milonga. It’s a banquet hall with a large parquet dance floor. 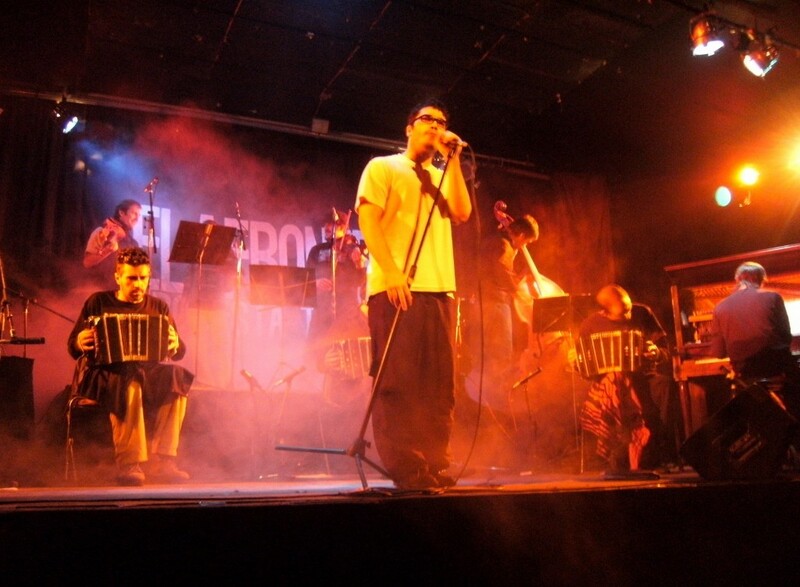 Color Tango plays and Julio y Corina and Rodrigo Palacio y Agustina perform our first night. milongas: Mondays 11pm-4am, Tuesdays 11pm-4am, Wednesdays 4pm-12am, Thursdays 10:30pm-4am, Fridays 11pm-5:30am, Saturdays 11pm-4:30am, Sundays 6pm-1am. The dance floor is outlined by some mirrored columns. Older crowd, but good dancing. It’s a classic. 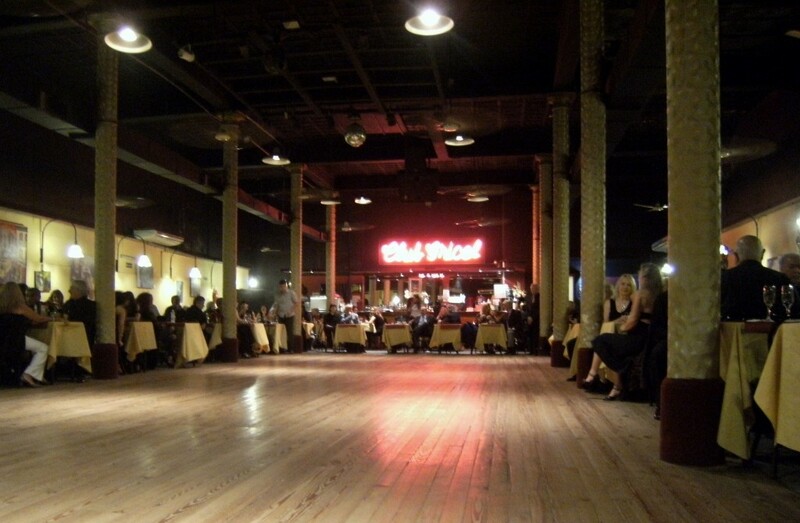 A long hall with paneled, pale yellow walls and a beautiful old wooden floor in the center. milongas: Wednesdays 7pm-3am, Thursdays 10:30pm-4am, Friday 11am-4pm, Saturday 4:30pm-11:30pm. A neon sign underneath the bar illuminates the dance floor. 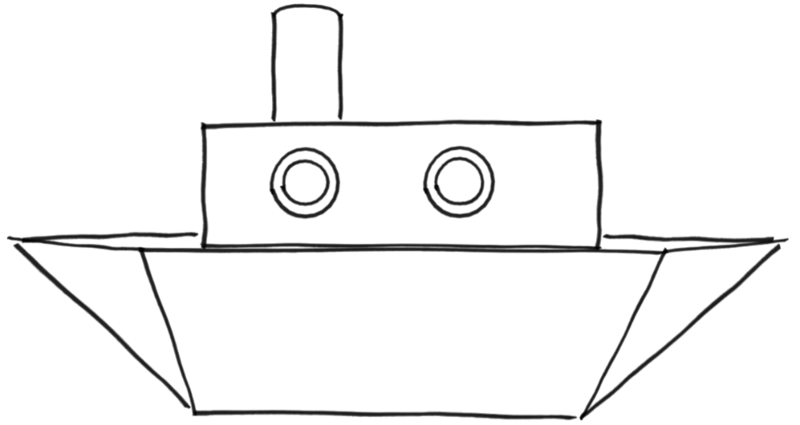 The DJ intersperses sets of salsa and other non-tango music when we go. milongas: Mondays 8pm-3am, Wednesdays 10pm-3am, Thursdays 8pm-3am, Fridays 10pm-4am, Saturdays 10:30pm-4am, Sundays 6pm-2am. Small, simply decorated place. The house wine is cheaper than a bottle of water. milongas: Tuesdays 8pm-1am, Fridays 6pm-2am, Saturdays 10pm-4am, Sundays 6:30pm-1:30am. 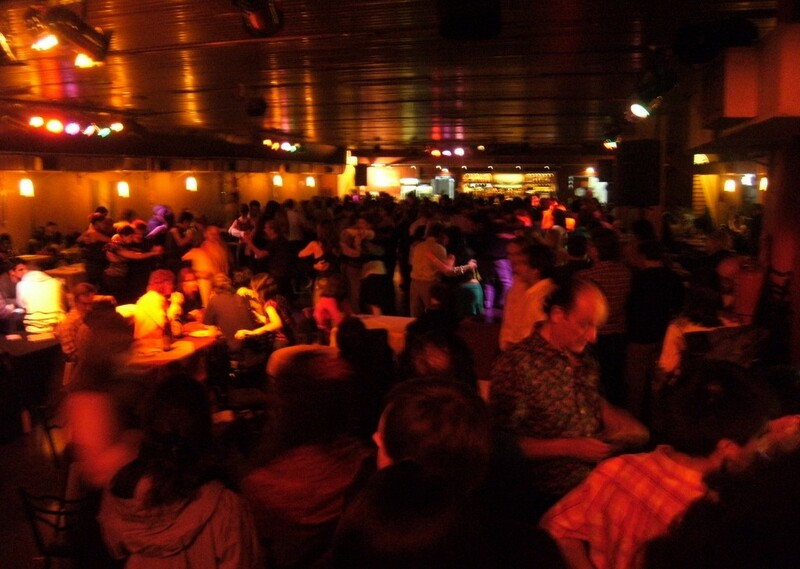 The afterhours milonga. Underground in the basement. It feels a little like an old disco club. It’s loud and energetic. milongas: Fridays (technically Saturday morning) 12am-6am and Saturdays (technically Sunday morning) 12am-6am. practicas: Wednesdays 11:30pm-4am, Thursdays 11:00pm-4am, Sundays 11:30pm-3am. It’s a fairly small place and we find seats opposite the bar at some cocktail tables. Found it harder to get dances here. milongas: Tuesdays 8pm-2am (Cachirulo milonga), Thursdays 6:30pm-1am, Fridays 11:30pm-3am, Saturdays 10:30-4am, Sundays 10pm-3am. It’s an industrial style interior. Worn wood floor, exposed brick, and metal folding chairs. It has a cool vibe with a younger crowd. The orchestra, El Afronte, plays around 11pm. milongas: Mondays 10:30pm-2am, Wednesdays 10:30pm-2am, Sundays 10:30pm-2am. The walls are full of eclectic artwork and funky objects. 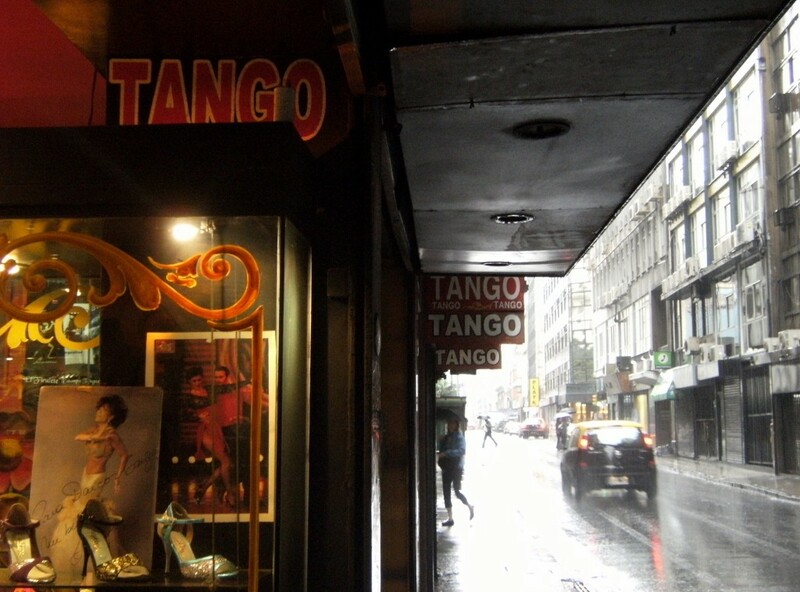 It’s not a place to go if you’re looking for a traditional tango experience, but a fun time. The floors are uneven, so most wear tango sneakers instead of heels. The place is packed, but half the people are there just to watch others dance and hear the orchestra perform. It’s a casual space kind of like a school auditorium. We watch a cool performance and finish with Chacarera (Argentine folk dancing). 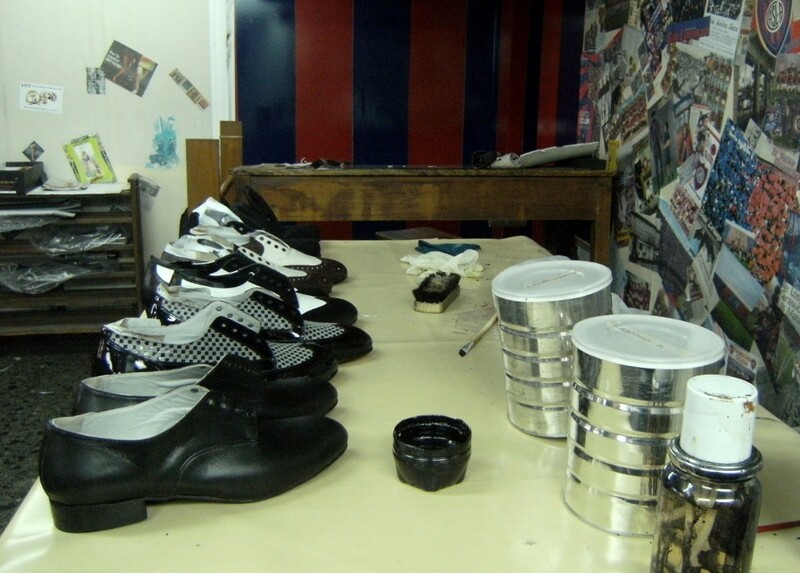 If you’re serious about tango, you’re going to want some shoes. The San Nicolás barrio has some famous shops like Flabella and Darcos. I get a pair from DNI and Neo Tango. Comme il Faut is probably the most famous shop for women’s heels. And Tango Moda is a cool tango apparel shop atop Palacio Barolo that even if you’re not into tango, you should visit for the view.